Turning 30 doesn't mean it's time to rest on our laurels. Every day, every project, we learn, we improve, we collaborate and we get excited! Stay tuned for updates about how we are celebrating throughout 2017. 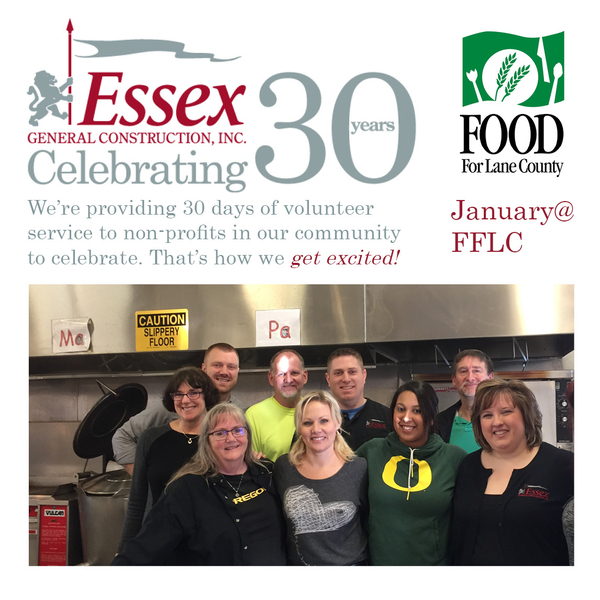 Here's a photo from our volunteer gig at FOOD for Lane County. Celebrating the completion of the Eugene Airport at Business After Hours. Volunteering in the community, celebrating new beginnings and successful collaborations, this is how we get excited!